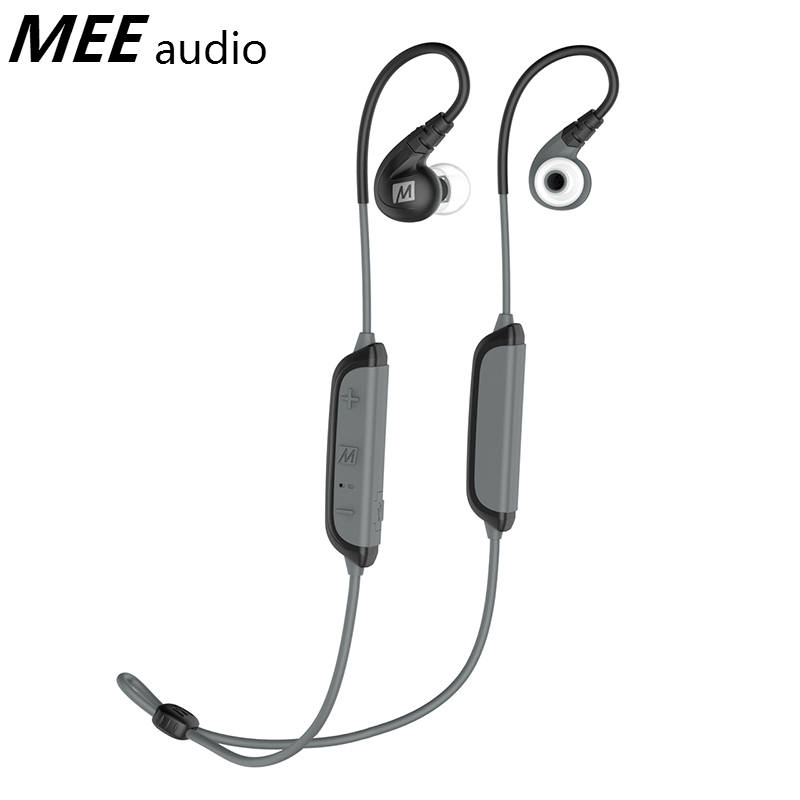 BUILT FOR SPORTS Engineered for runners and gym-goers, the MEE audio X8 is the world’s most ergonomic sports earphone, designed to provide a locked-in fit and all-day comfort. 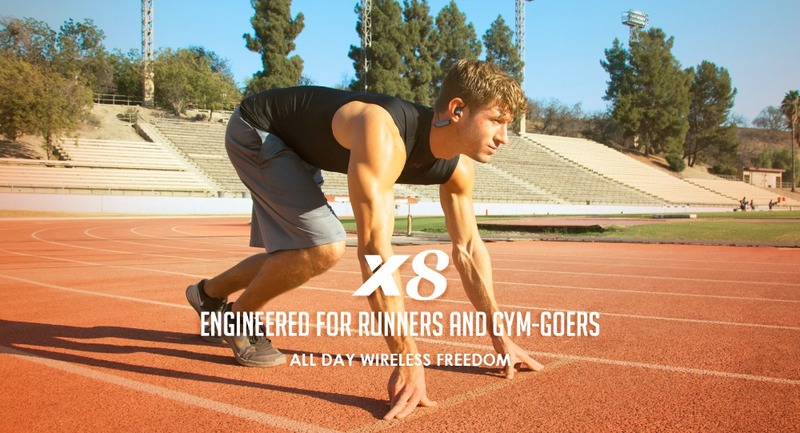 ADVANCED FIT Because no two ears are exactly alike, the X8 is designed to be as small and lightweight as possible and provides a personalized fit with the use of pivoting nozzles, flex-fit earhooks, and four different sizes of eartips. 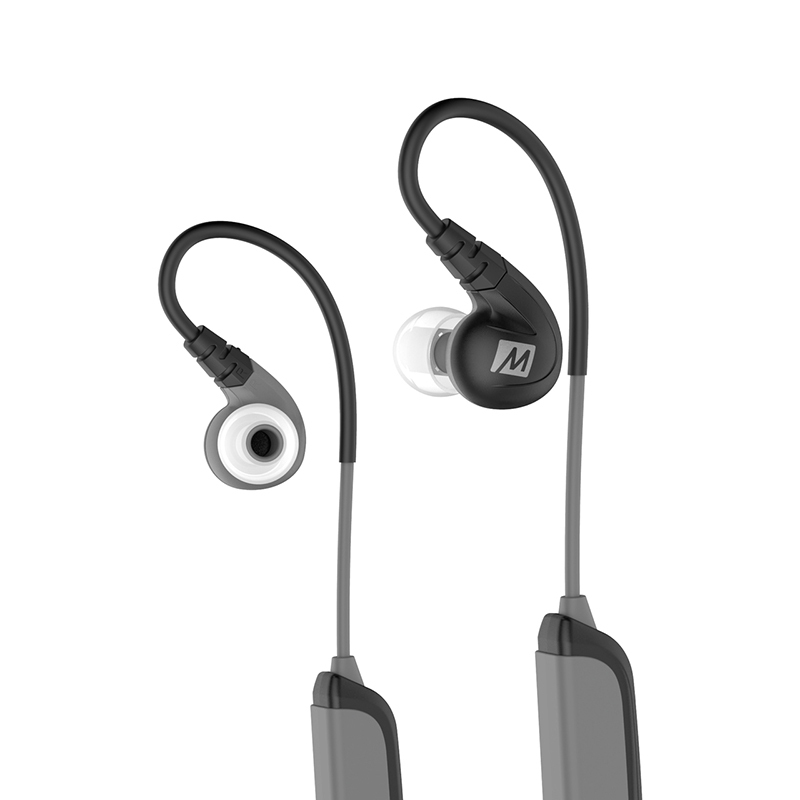 PIVOTING NOZZLES adjust to the unique angle of each ear canal for a comfortable fit in ears of all shapes and sizes FLEX-FIT EARHOOKS are soft and comfortable, yet maintain their shape to provide the most secure fit for any activity, eliminating the need to adjust your earphones RICH DIGITAL SOUND Bluetooth 4.1 wireless technology supports the aptX and AAC HD audio codecs to maximize fidelity with every device and deliver dynamic sound with deep bass. 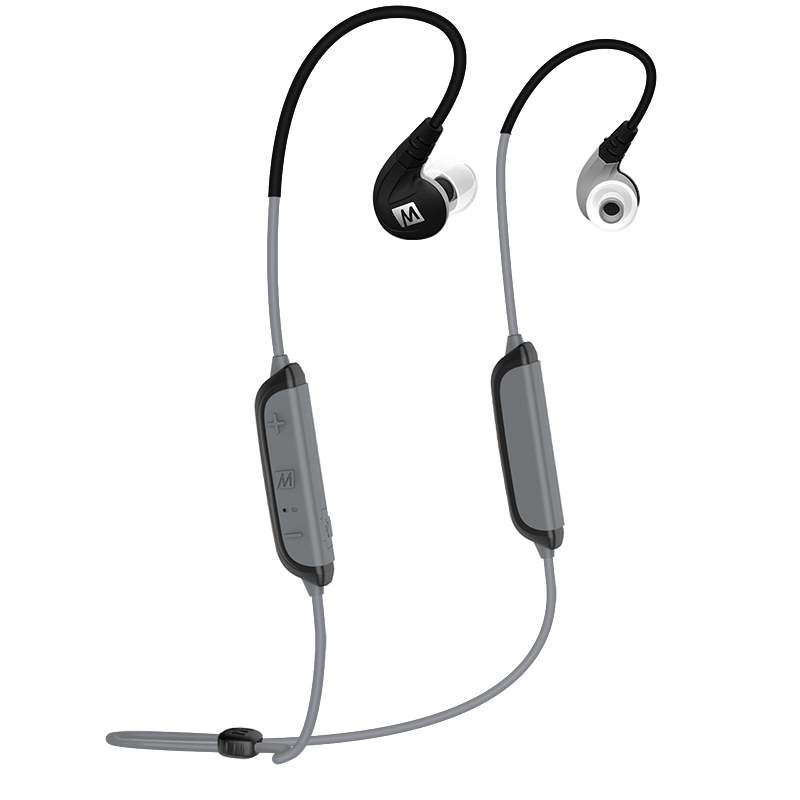 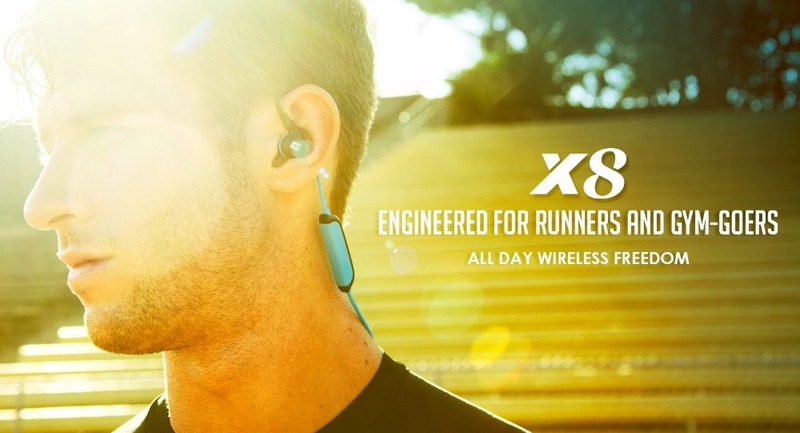 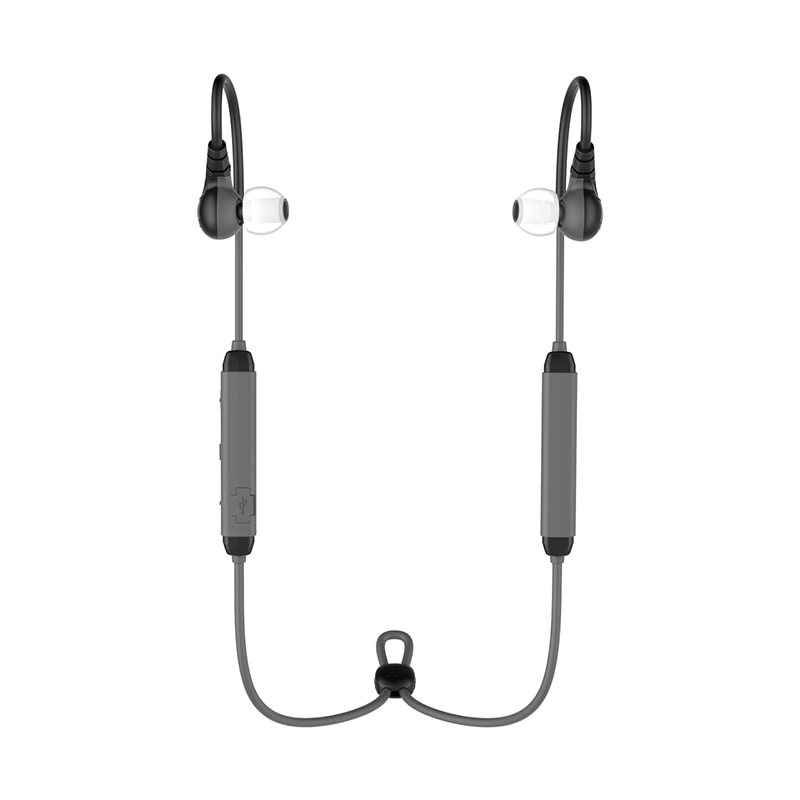 State of the art splash-proof nano-coating technology provides protection from sweat and the elements, allowing you to forget about your earphones and concentrate on your workout. 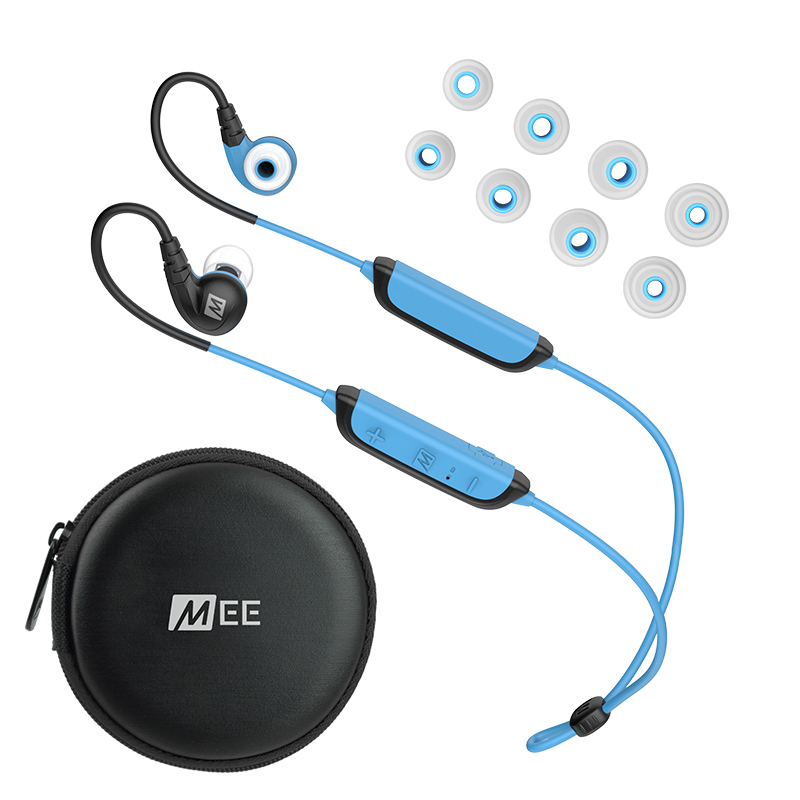 A built-in rechargeable battery provides up to 8 hours of talk/music playback time while the integrated microphone and remote let you seamlessly take phone calls and control media playback.